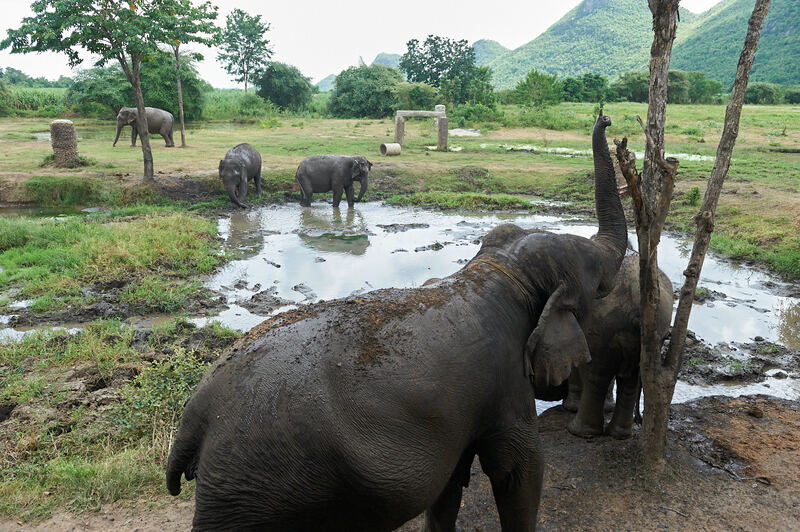 One of the big attractions in Kanchanaburi is Elephants World, a sanctuary for elephants that have been rescued from work in logging camps or on the streets, where they are frequently employed in begging schemes. 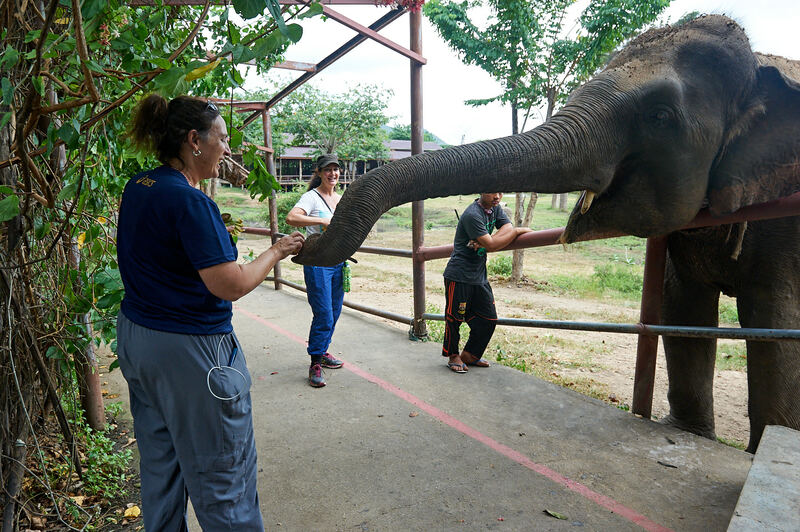 The sanctuary offers two programs, a one day visit in which you feed and bathe an elephant in a large group, and two day visit with an overnight stay, in which your small group of overnighters gets extra, up-close time with the elephants. Naturally, we chose the two day visit. How could you pass up spending extra time with a face like this? 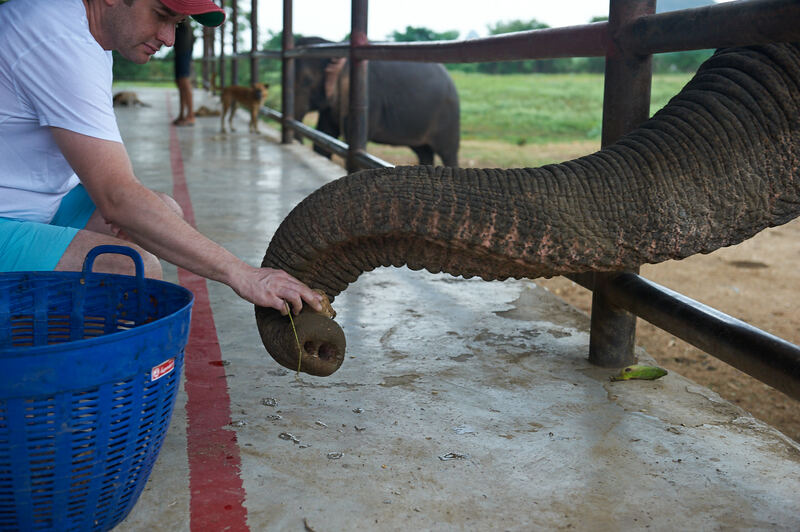 First, let’s start with elephant feeding pictures. 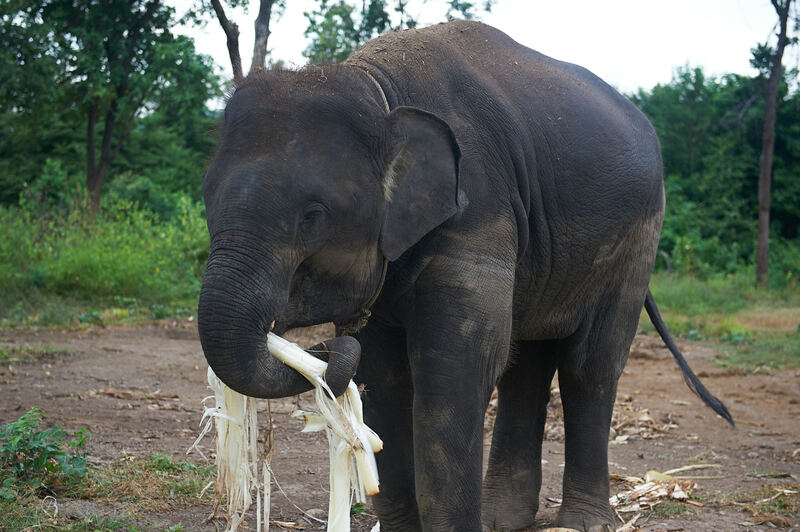 It’s not simply that the elephants look very happy while they’re eating, but that their trunks are so incredibly dextrous. 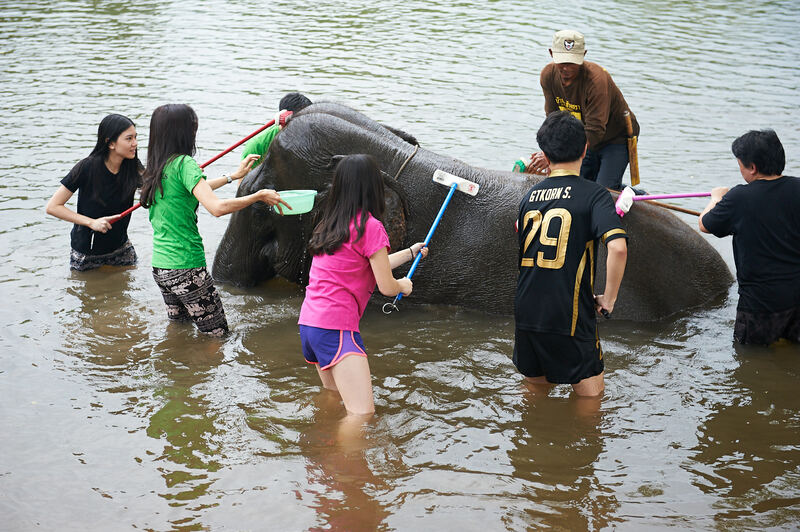 A group of clients bathe “their elephant” … … and another elephant bathes back. A mahout with his elephant. 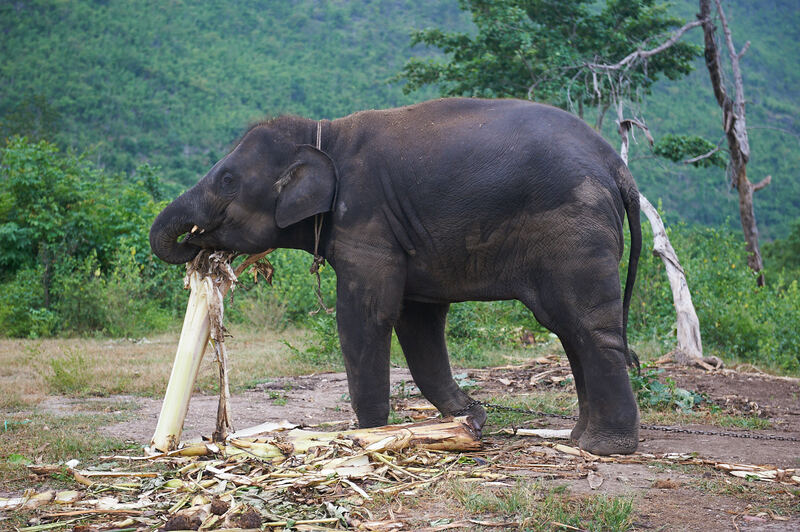 The mahout is a key part of the elephant culture. 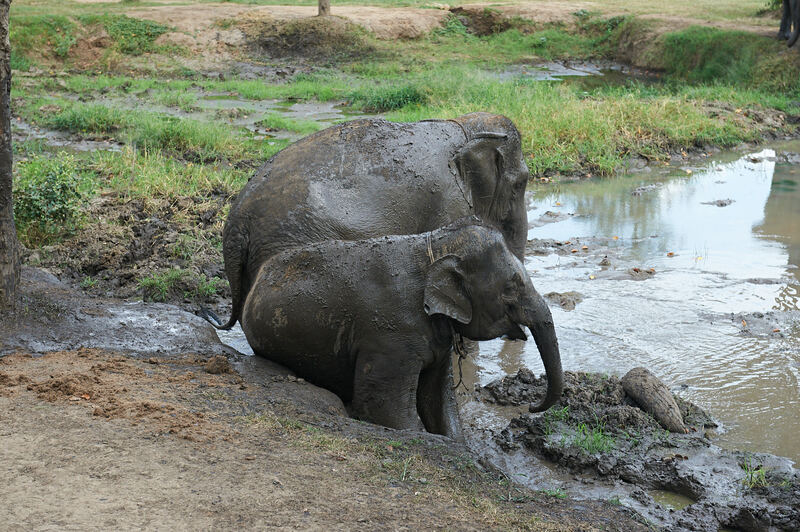 Each elephant has a mahout who is the elephant’s primary caregiver, and the only person who can ride the elephant. 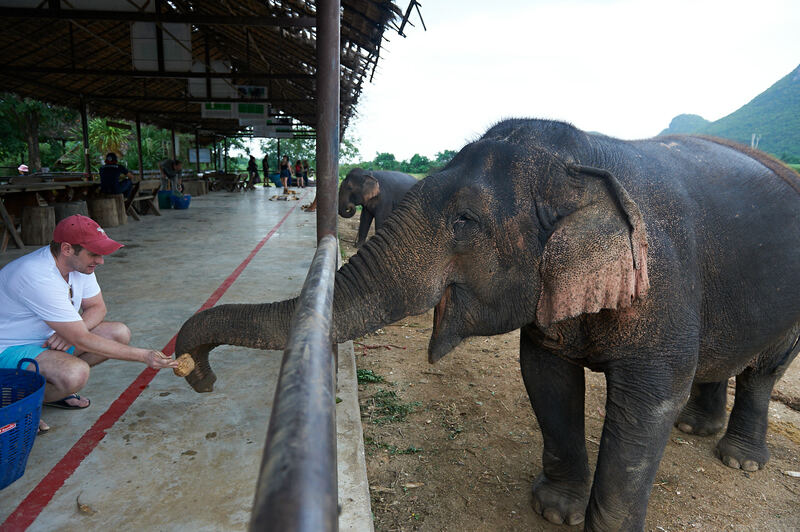 In traditional culture, a mahout and an elephant might grow up together, and they form an inseparable bond. 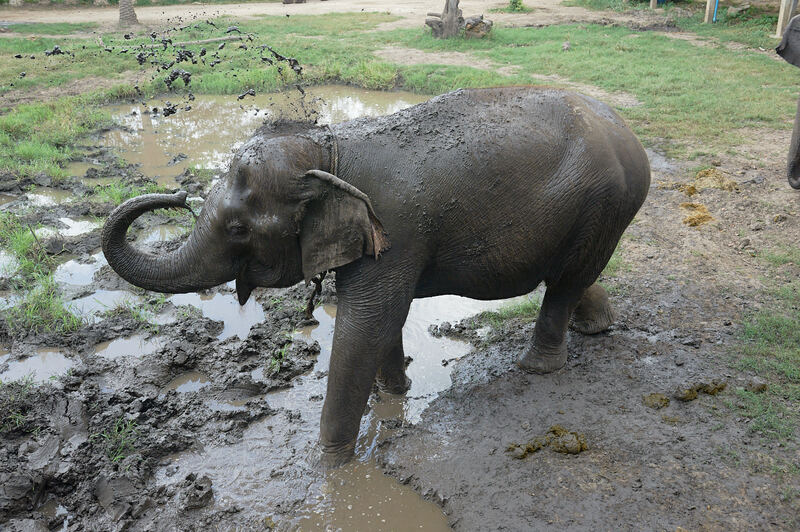 For many of the elephants at the sanctuary, however, their mahouts over-worked them or mistreated them,so the mahouts at Elephants World have to work to gain their charges’ trust. 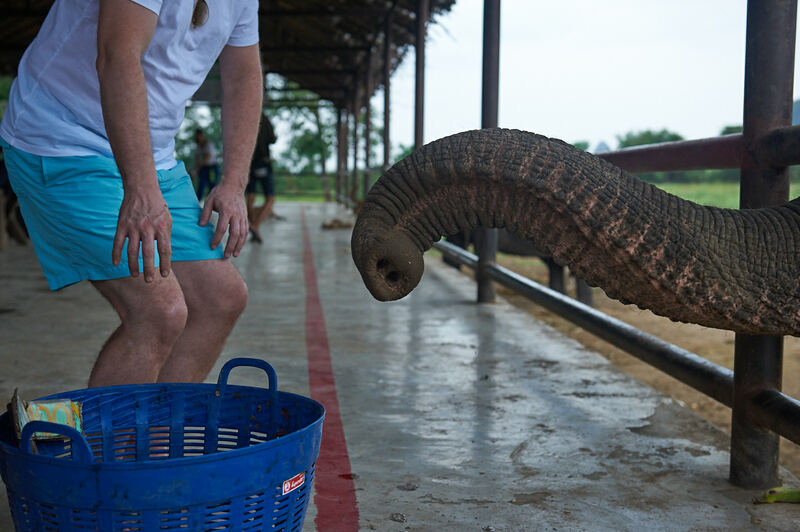 The elephant’s trunk is sensitive as well as dextrous. It can tell if a yam bean is good to eat or not, and it can handle even small pieces of fruit. 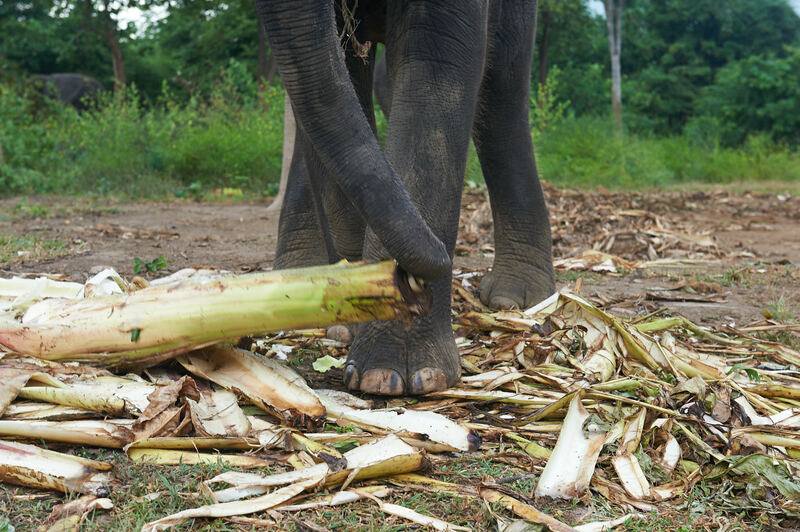 At night, the elephants are put outside the compound, on a chain so they don’t wander into the forest, and given lots of banana trees to eat, which they munch on as though they were celery stalks. Their feet are pretty neat, too. 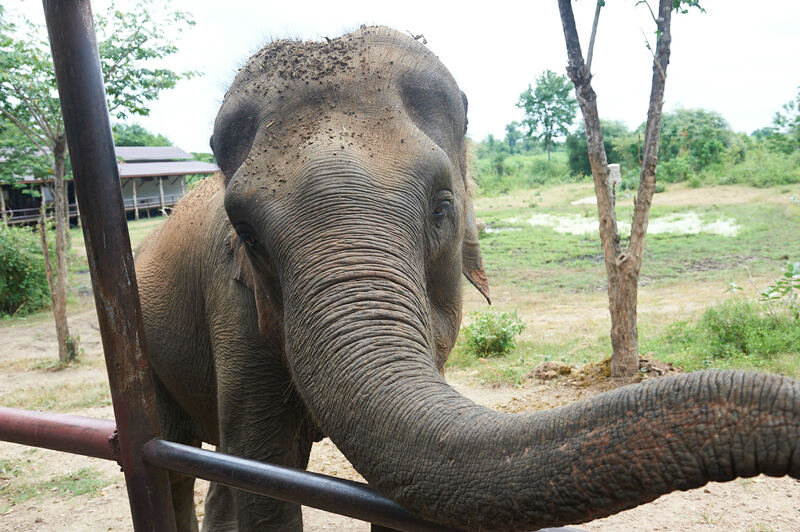 Next: a few more gratuitous elephant photos.